These regulations are called, Tamil Nadu National Law University Hostel, 2017. These regulations come into force w.e.f the date of approval by the Executive Council and supersede any other rules/regulations in force in regard to the same subject matter. d)	to develop in the students the capacity to govern their own affairs. The Vice-Chancellor shall nominate a Faculty-in-Charge Men’s Hostel and a Faculty-in-Charge Women’s Hostel from time to timewho are Professor/Associate Professor/Assistant Professors of TNNLU. The Senior Warden (where applicable)/Resident Warden/Matron shall act under the direction of the Faculty-in-Charge of the respective Hostels, and overall under the direction of the Vice-Chancellor. The Vice-Chancellor could also nominate a Deputy Warden as such other staff as s/he deems necessary for every Hostel. Every student admitted in the TNNLU shall reside in the Hostels maintained byTNNLU, Tiruchirappalli and shall adhere to the rules as modified from time to time. There shall be Resident Warden / Deputy Warden for every Hostel and they shall maintain hostel registers and furnish the records to the Faculty member designated as the Faculty-in-Charge and office of the Vice-Chancellor periodically. The Residents of the Hostels shall adhere the instructions and directions of the Resident Warden/Deputy Warden. Every resident shall wear decent dress while staying in the Hostels and visiting the mess for dining. The Hostel Room Allotment shall be made by the Resident Warden on direction of the Warden-in-Charge. The allotment of rooms shall be for one academic year at a time. Every student shall submit a fresh application for admission to Hostels in every subsequent year of study. Re-admission shall be permitted only after the resident is admitted to a Programme of study and after furnishing proof of having paid the fees for Hostels fees. Changing of rooms without permission - Any student who shifts from the room allotted to him/her by the Resident Warden and occupies a different room in the hostels shall invite disciplinary action and fine. Unauthorized movement of furniture from one room to the other room / common area without permission of the Resident Warden would incur heavy penalty on the concerned resident. Every student shall take care of their belongings. The TNNLU is not responsible for any loss of belongings of the residents of the Hostels. Any misbehaviour of the residents with the Resident Warden/Deputy Warden or any such staff will be viewed seriously and disciplinary action shall be taken against them. Consumption of alcohol or smoking or chewing pan or tobacco, narcotic substances by the residents is strictly prohibited on campus. Possession of any intoxicating liquor, narcotic drugs or being found under the influence of liquor or drugs may result in strict disciplinary and legal action and may result in expulsion from the TNNLU. Checking of student bags shall be mandatory at the entry gate to ensure that no narcotic drugs, alcohol, cigarettes and other objectionable materials are allowed in. Misbehaviour with the guards or speaking with the guards in an unruly manner would lead to imposition of penalty on the concerned student(s). Penalty amount to be decided by the Warden-in-charge. Residents of the Hostel shall not hold meetings, functions, celebrations etc. in their rooms or in the Hostels without the prior permission of the Resident Warden in writing. Any breach in this regard shall lead to disciplinary action. Any student who causes nuisance to other residents of the hostel in any manner including playing loud music, bursting fire crackers ,behaving in an unruly manner or littering the hostel premises whereby causing difficulties to fellow residents, shall be subject to disciplinary action. 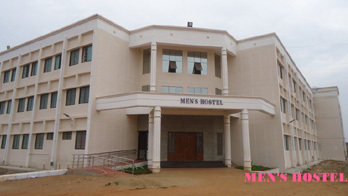 The Hostels main gate/door shall be closedat 10.00P.M.or such other time as may be determined by the Vice Chancellor. Students are required to mark their attendance in the manner as directed by the Resident Warden or any other person authorizedinthis behalf every day. Leave of absence from the Hostels should be obtained from the Resident Warden/Deputy Warden. The application for such leaveshall be given at least 24 hours in advance. All residents shall report to the Resident Warden /Deputy Warden or any other staff authorized in this behalf, on return from vacation or week-end leave. Residents shall not leave the Hostels and stay out for the night without the permission of the Resident Warden and without a written authorization from their parents / guardians in person or by E-mail, Fax countersigned by their parents/guardians. Students leaving on Saturday to spend week end with their relatives shall return to the Hostels by Monday morning 8 A.M. All applications for such leave must be countersigned by the Resident Warden/ any other staff authorized. Students who stay out at night without the required permission shall be subject to strict disciplinary action, including expulsion from the TNNLU Hostels. The visitors specifically authorized by the parents/guardians in the form prescribed for this purpose alone shall be permitted to meet residents in the hostel between4.00 P.M.and6.30P.M.onworking days. No person other than the parents/guardians or those authorized by them in writing at the time of admission shall be permitted to meet the residents. In emergencies, the visitors specifically authorized by parents/guardians may be allowed to meet the residents. At the time of admission, the residents shall produce from their parents/guardians a letter indicating the names of the local guardians, if any, with whom the residents may be permitted to spend the weekend. Private vehicles shall not be allowed inside the campus without a specific permission of the Vice-Chancellor / Registrar and without proper inspection of the vehicle by security. No student resident shall use two/four wheeler within the campus without proper permission from the Vice-Chancellor / Registrar. Students who wish to bring and park their vehicles inside the campus shall submit relevant documents including a copy of a driver license, R.C Book, insurance policy and a ‘no objection certificate’ from the parents / guardians to the Office of Vice Chancellor / Registrar every academic year. It is to be noted that permission cannot be claimed as a right and it is purely discretionary. Such vehicles can only be parked in the area designated by TNNLU. j.	to verify the furniture and fittings of the Hostels periodically and take necessary action for their repairs and replacement. b.	take steps to ensure the welfare of the residents and maintenance of discipline. d.	to initiate appropriate action for violation of any of these rules and inform the Warden-in-Charge immediately. Ragging and Sexual Harassment in any form constitute very serious offenses and may lead to expulsion from hostels in addition to criminal prosecution. Any student found prima facie to be engaging in the act of ragging shall be suspended from the hostel with immediate effect pending enquiry and shall be punished with suspension from the hostels for a minimum period of one semester and may extend up to expulsion from the hostels. The matter shall also be reported to the concerned authorities under the relevant legislations governing such acts. The Vice-Chancellor shall constitute a Mess Committee comprising of i) Faculty-in-charge, Men’s and Women’s hostel ii) Senior Warden (where applicable)Resident Wardens iii) Deputy Wardens iv) any administrative staff nominated by the Vice-Chancellor v) Mess Manager [to be appointed by the Mess Contractor]vi) Four Student Representatives two each from Men’s and Women’s Hostels. The Committee shall maintain the discipline of the mess and prepare menu so as to provide hygienic food as per the requirements of the students. The mess committee should meet twice in a Semester and shall submit a report of activities of the mess to the Vice-Chancellor. No student shall be served breakfast / lunch / dinner beyond the prescribed timings. The Mess Committee shall notify timings for every academic year. 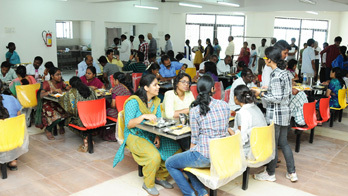 No outside food shall be permitted inside the University. The resident shall not carry the food outside the dining hall except in case of sickness with the permission of the Warden. 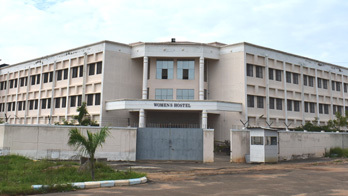 There shall be a Welfare and Disciplinary Committee (WDC) for each hostel constituted by a committee consisting of i) Faculty-in-Charge of Men’s Hostel ii) Faculty-in-Charge of Women’s hostel and iii) a faculty member nominated by the Vice- Chancellor. The Welfare and Disciplinary Committee shall exercise the following function. f.	To assist Resident warden in managing hostel activities and shall take care of welfare of Students in the Hostels. i. Such other duties as may be assigned by the Vice Chancellor from time to time. It shall be the responsibility of residents to take proper care of furniture, fittings, etc. in their rooms and in all places of the Hostels and TNNLU. The residents of the Hostels shall not deface walls in the rooms with posters, writings etc. The residents of the Hostels shall not keep any inflammable materials or any obscene materials in their rooms. Any wilful damage to University/Hostel properties/fittings shall be dealt with strict disciplinary action along with a fine uptoRs. 3000/- which shall be imposed by the Faculty-in-Charge on the findings of Welfare and Disciplinary Committee. It is to be noted that the findings of Welfare and Disciplinary Committee are only persuasive and not binding on the decision made by Faculty-in-charge. Students shall not use any electrical appliances in the hostels. Air Coolers may be used in hostel rooms on monthly payment basis provided that the students shall obtain permission in writing from the Resident Warden. Violators shall be punished with a fine up to Rs. 5,000/-(Rupees five thousand only) and seizure of Air Coolers. No student residing in the Hostels shall accommodate guests in their room.